Heavenly Feet Toe Post Sandals E Fit is rated 5.0 out of 5 by 4. 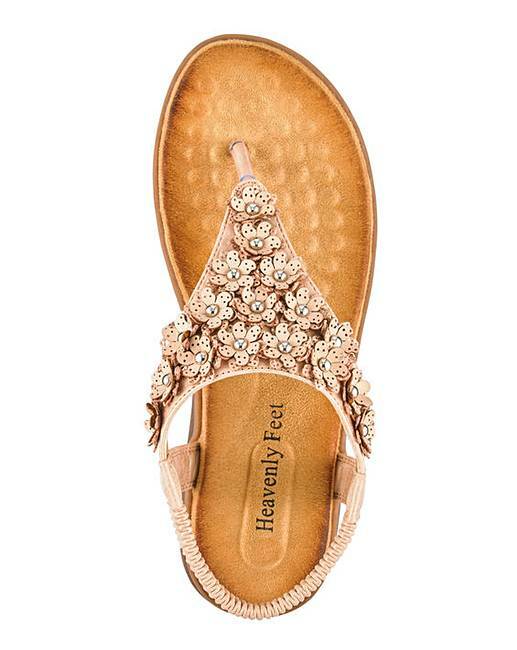 These flower detail toe post sandals from Heavenly Feet have padded footbeds for supreme underfoot comfort, an elasticated back strap and are finished on a lightweight flexible sole. 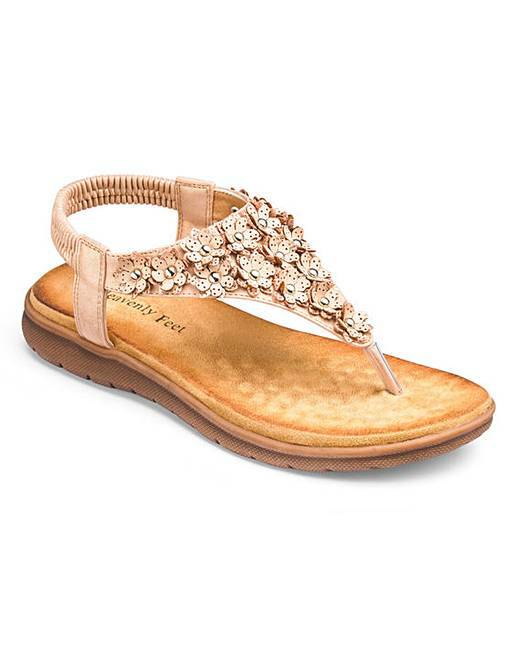 They will complete any summer outfit or wear with a pair of jeans for a casual look. Rated 5 out of 5 by Lespatz from Comfy and stylish I bought these a couple of weeks ago and am glad I did. I have developed a painful bunion and these are the only thing I can wear comfortably. 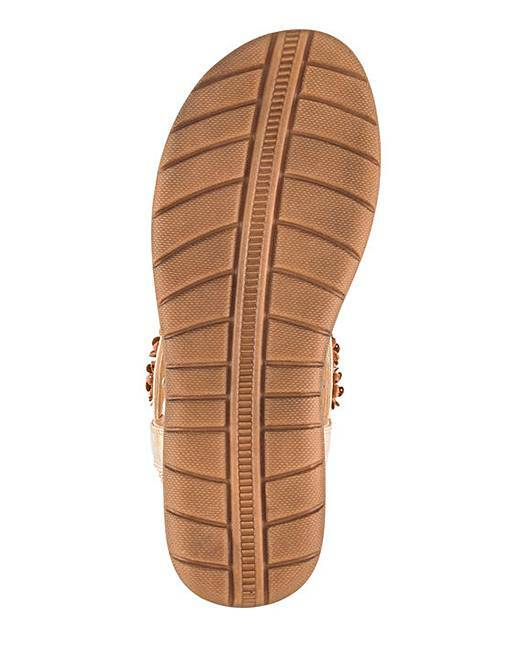 The sole is well cushioned. I have never been able to wear toe post sandals before but persevered with these gradually building up wear time and can walk for about 2 miles now in them with no problems. Would be good if they were a little lighter in weight but not a big deal. Will definitely buy again.